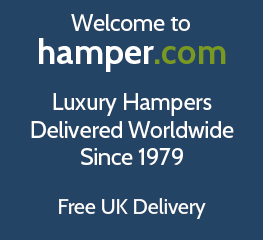 Welcome to hamper.com, luxury alcohol free hampers & non alcoholic gifts since 1979. Our selection of online food & alcohol free drink hampers are packed with all the delicious gourmet foods you would expect just with refreshing soft drink instead. Celebrate a special occasion with one of our surprise gift hampers without alcohol. Buy from our large handpicked range of luxury non alcoholic hampers below, all with free UK delivery & personalised gift message. Order your alcohol free gift hamper online with free delivery anywhere in the UK. What better way to brighten a non drinkers day than for them to be hand delivered a gift hamper full of food & drink treats? Still searching for the ideal alcohol free hamper for family, friends and for corporate clients? Design your ideal selection of non alcoholic goodies by creating your own alcohol free hamper. Choose from soft drinks, chocolate, cheese and other treats. Surprise loved ones with a non alcoholic hamper full of Christmas food and alcohol free drinks. A alcohol free hamper at Christmas makes the perfect gift to enjoy on Christmas day. Xmas non alcoholic hampers come with or without food, so send them a festive food & soft drink feast and celebrate with a alcohol-free Christmas Hamper as your Xmas present this year. With a range of delicious premium presse and soft drink options for the non drinker whether their teetotal, or just prefer alcohol free gifts, our range of luxury food and drink hamper without alcohol are ideal presents for all occasions including as Birthday Gift Hampers, Mother's Day Hampers, Father's Day Gifts and many more. Our range of alcohol free hampers are sure to please with a non alcoholic hamper for every taste. With a choice of delicious foods including healthy fruit, indulgent cheese, smoked salmon and gourmet chocolates who says you cannot enjoy quality wholesome foods without alcohol.